Practical Class:Preparing plants for Show with Barbara McCune and Ron Jell. Guest Speaker George Stamatis on The Future of Bromeliad Collecting in Australia. Back To Basics Day on Sunday 22nd October. Winners for the Vriesea 'Golden Jubilee' were drawn from those who entered the survey. They were Leslie Gibbs and Marguerite Newby. Preparing Plants for Show with Barbara McCune and Ron Jell. Barbara began by quoting Eloise Beach who said her success in brom shows was due to her better preparation of plants, and not intrinsically better specimens. Having an upright spike or plant makes so much difference that one should do what it takes to achieve this. Whether by staking the plant early in its life, or even repotting altogether. A plant that leans loses points. Conformation is important. Barbara showed an Aechmea recurvata with good blooms, but poor symmetry. Removal of dead flowers is important, even if they appear small and insignificant. Just pull them off with tweezers. (Ed. I trim them with fine scissors). The plant must be firm in the pot, not wobbly. The session stimulated several questions. George teaches high school at North Lakes, while pursuing an active commercial business in bromeliads at Elimbah. He has degrees in botany, maths and science. 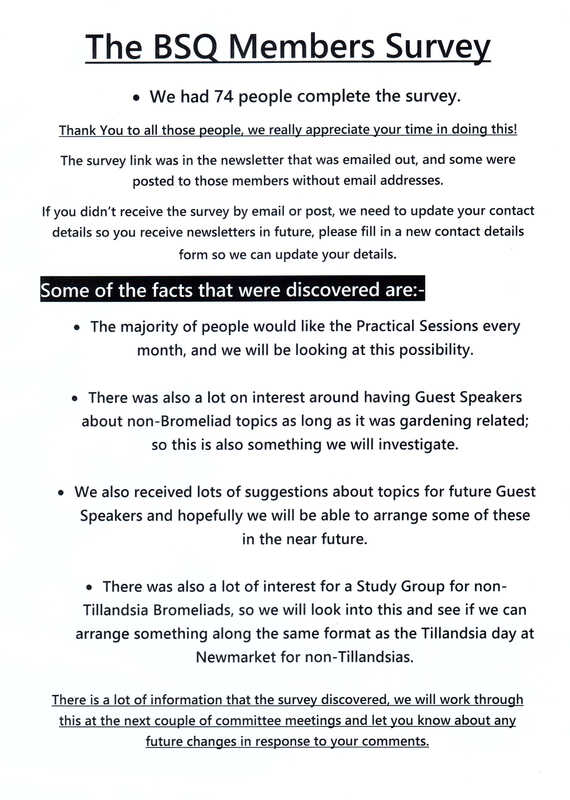 "A Glimpse into the Future of Bromeliad Collecting in Australia." 15 years ago, imported bromeliads had to be treated with ethyl bromide which killed a high proportion of the plants. 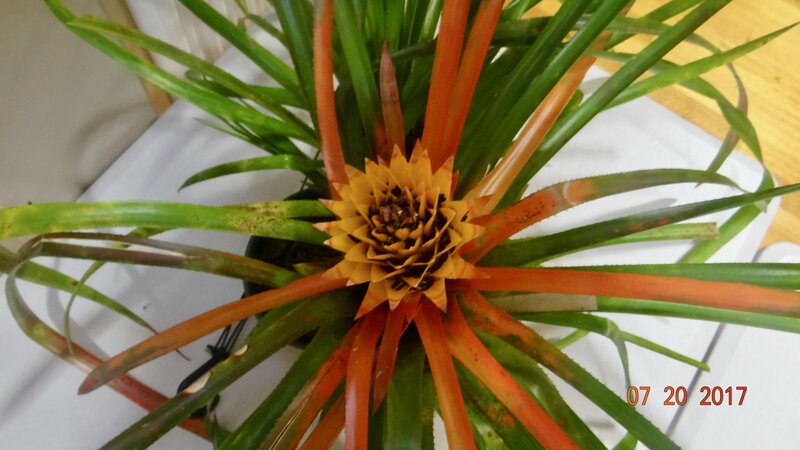 10 years ago, a change of policy permitted the dipping of imported bromeliads giving a much higher survival . This lead to a surge of imported broms, especially Vrieseas which were very sensitive to ethyl bromide. So Australia had a good ten years of successful imports. This ended abruptly in 2016 when the ban came in. There was an outbreak of a bacterial infection in plants in Costa Rica, the west coast of Mexico and the Gulf of Mexico. Strict bio security laws came into Australia in the past year to prevent the introduction of Xylelle fastidiosa, the bacterium that invades the vascular tissue of plants (the xylem) causing death. The disease originated in California and spread to Europe and wiped out the olive orchards in Italy. The ban prohibits the import of all bromeliads from the Americas. The ban does not apply to plants coming from Africa, China, Papua New Guinea, or New Zealand. 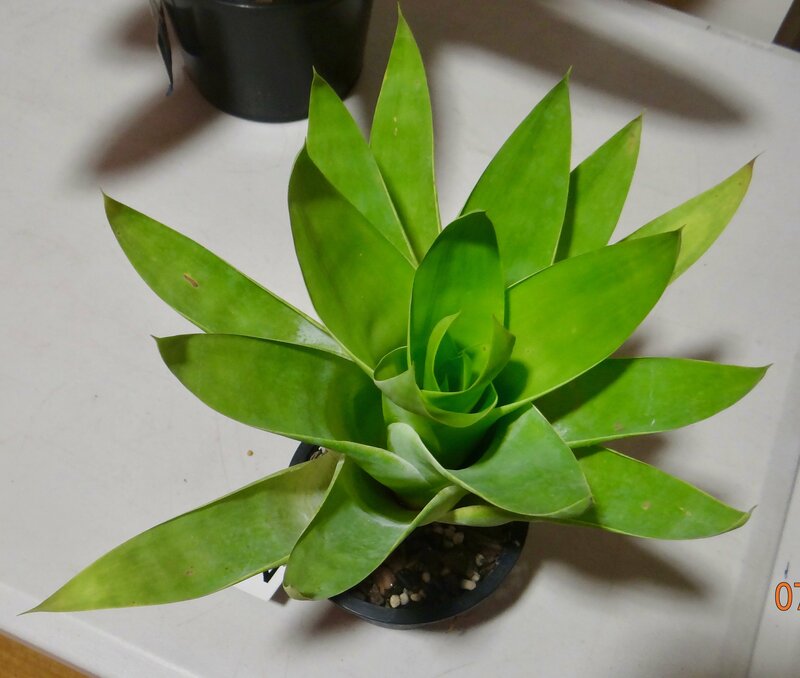 To import a bromeliad from the Americas, the plant must spend 12 months in quarantine in Melbourne, and incur $250 DNA test for each plant ! And this is not a commercial proposition. This ban does not affect the import of seed, which is good for species, but unreliable for hybrids which show great variation when grown from seed. And prized plants like Aechmea 'Roberto Meneschal' grow only from offsets, not from seed. Importation from Hawaii has barriers. The cost of quarantine has risen sharply, and the plants grown in the steady even climate of Hawaii do not do as well in Australia with its extremes of climate. Australia thus has the potential to lead the world in producing our own varieties. George outlined briefly the centers of excellence for bromeliad innovation in the country. 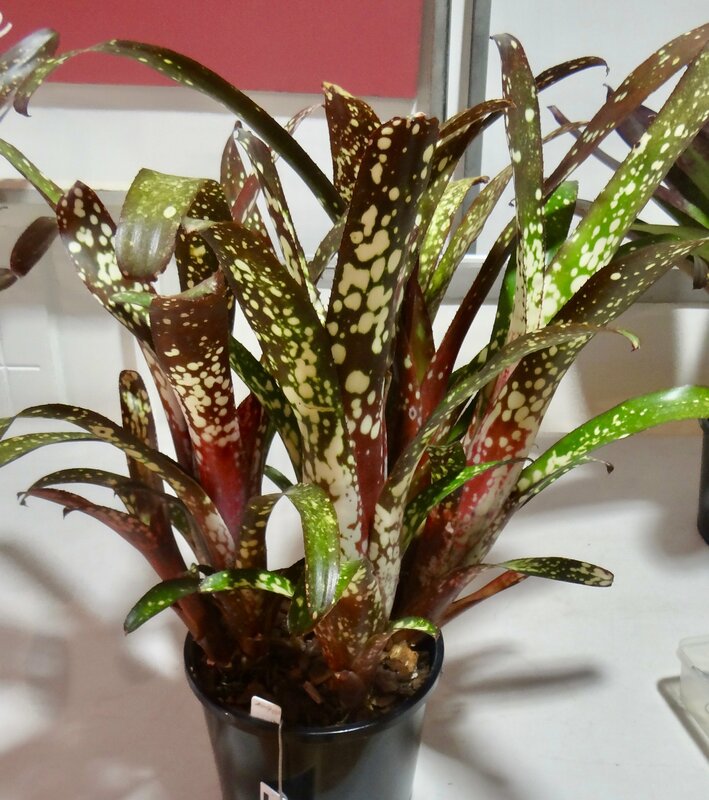 1.Peter Tristram of Repton, northern NSW, has a huge collection of species, and pioneered hybrids of Vriesea pastuchoffiana x hieroglyphica, hybrids of Neoregelia and xHohenbergia. 2. 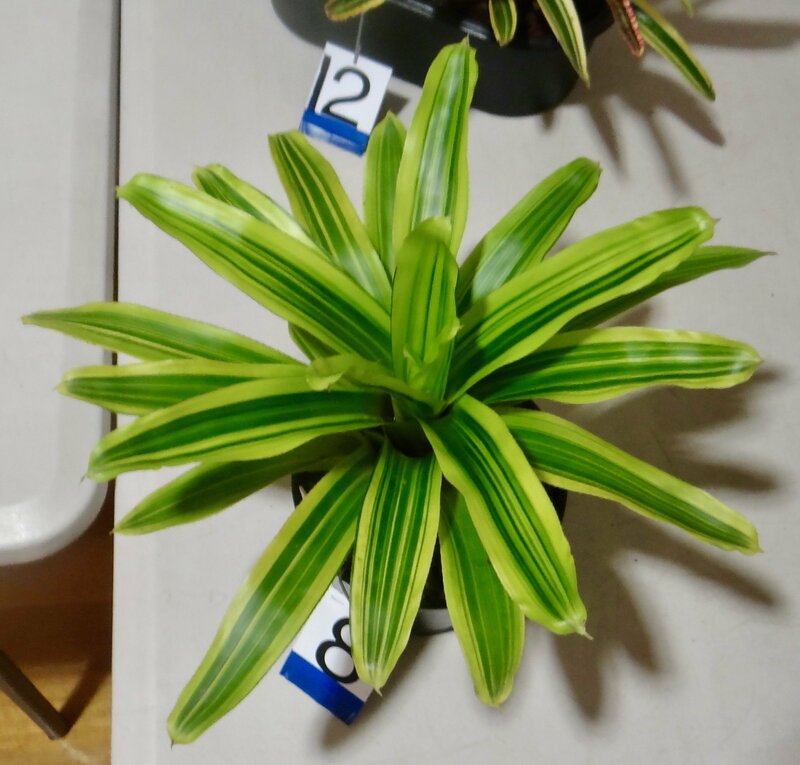 Jack Kennedy from Port Macquarie develops pattern leaf vrieseas in a compact plant with broad leaves. 3. Margaret Patterson from Gympie has developed new varieties for years, especially Tillandsias and Neoregelias with good conformation, but no variegation. Also Cryptanthus. 4. Val Honeywood from Bundaberg has pioneered varieties of Billbergias, notably Bill 'Val's Joy'. 5.Russell Holzheimer from South Kolan near Bundaberg works with Neoregelias and Billbergias. 6.Peter Fitzpatrick from Atherton has produced Hohenbergias and xHohenmeas. 7.Ross Draper of Koah, near Kuranda, N.Q. is an active hybridiser. He produced the xHohenmea 'Ninja' series. 9.Barry Genn of Cleveland is active in hybridising Tillandsias. 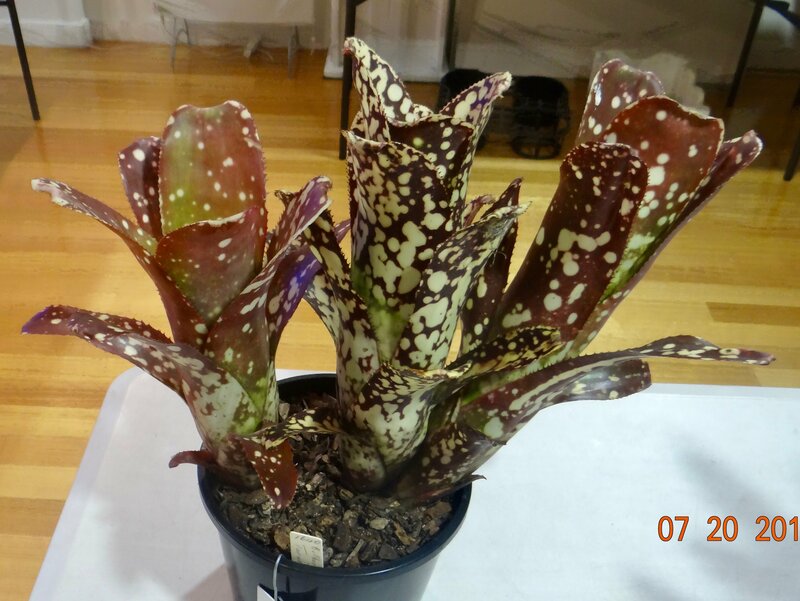 10.Mal and Michelle Cameron at Carsbrook have produced some beautiful vrieseas and Neoregelia hybrids. 11.Kent Jacobson from Newcastle produces intergenerics using several genera. 12.John Byth at Woodford works with Alcantareas only and loves red ones. 13.George Stamatis was inspired by John Arden, David Shiigi and David Fell of Hawaii. 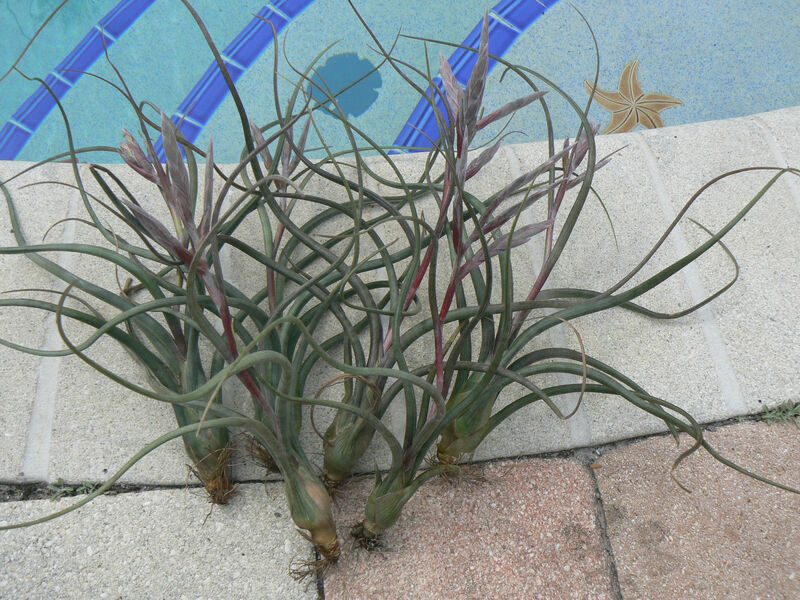 He produces new varieties of vrieseas, Tillandsias, Dyckias and intergenerics like xVriesgoudaea . George illustrated his talk with mini slideshows of the new varieties coming from the above hybridisers. It was a stimulating talk, and portrays an optimistic future for bromeliads in our country. BSQ member Margaret Kraa and her bromeliads were featured on Gardening Australia, ABC TV. The segment also showed her husband Will discussing their cycads and palms. This was 6:30pm Saturday 22 July. Peter Paroz displayed a Till pseudobaileyi in flower, but with all leaf tips intact. He believes this is due to perfect nutrition, especially potassium sufficiency. He asserts that leaf dieback indicates potassium deficiency. 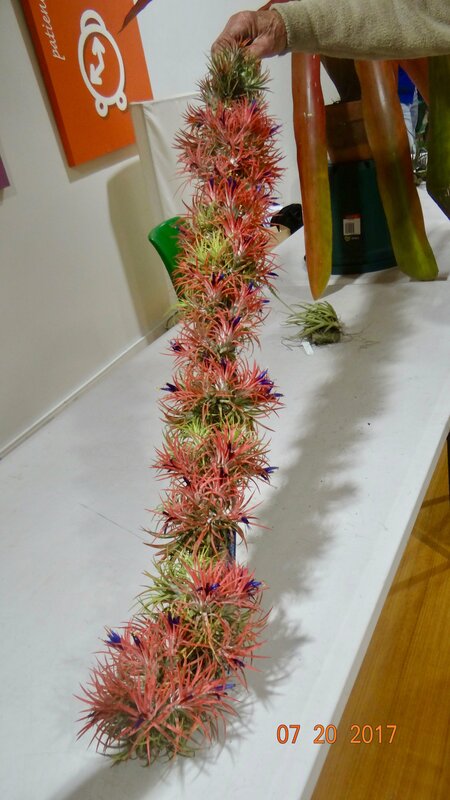 Dorothea Andreasson displayed her granddaughter's hockey stick covered with Till ionantha all in flower. Dorothea started with one plant and helped it propagate the whole length of the stick. All the plants flower together because they are all of the same clone. 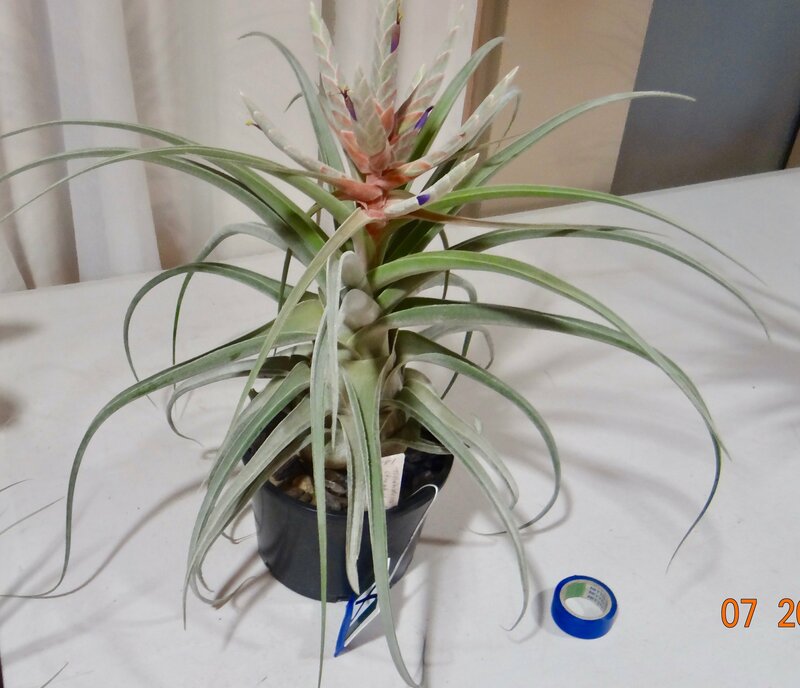 Most ionantha plants have finished flowering by now . A Back To Basics Day will be held at Greg and Narelle Aizlewood's home at 15 Royal Palm Drive, Steiglitz on Sunday 22 October. Start 9:00 to 9:30am until midday. Home phone 55461161. Mobile 0418193628. Members will need to bring a chair and a plate for morning tea. Lunch will be provided - a sausage sizzle. Please call to confirm your attendance to help with catering. This meeting targets newer members. The programme includes different genera, potting and propagating, growing from seed, fertilizing and pest control. Entry is by a gold coin donation to go towards the Golden Broms Conference in 2018. 1st Billbergia 'Groovy' from Barb McCune. 2nd Billbergia 'Supa Dupa' from Barb McCune. 1st Catopsis compacta from Barry Kable. 2nd Alcantarea extensa. x vinicolor from Barry Kable. 1st Neo 'Kathleen' from Barry Kable. 1st Till streptophylla x ehlersiana from Ron Jell. 2nd Till chiapensis x exserta. From Ron Jell. 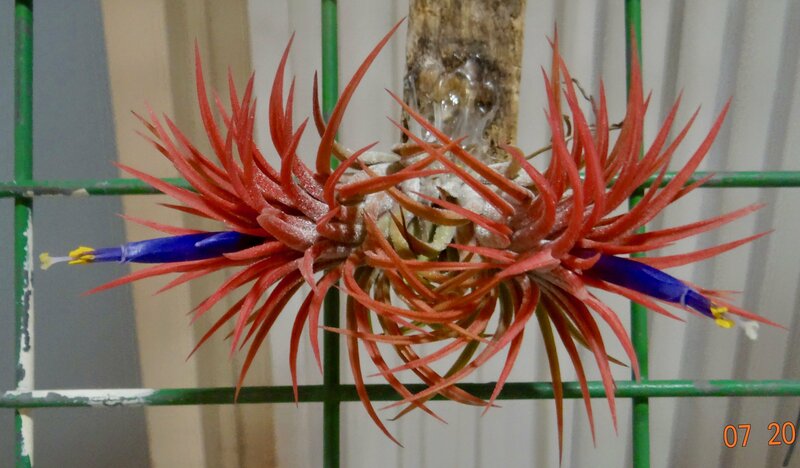 1st Billbergia 'Taraole' from Pam Butler. 2nd Till gardneri var rupicola from Greg Aizelwood. Class 4: Aechmea biflora from Sharon Born. Catopsis compacta from Barry Kable. Tillandsia chiapensis x exserta from Ron Jell. 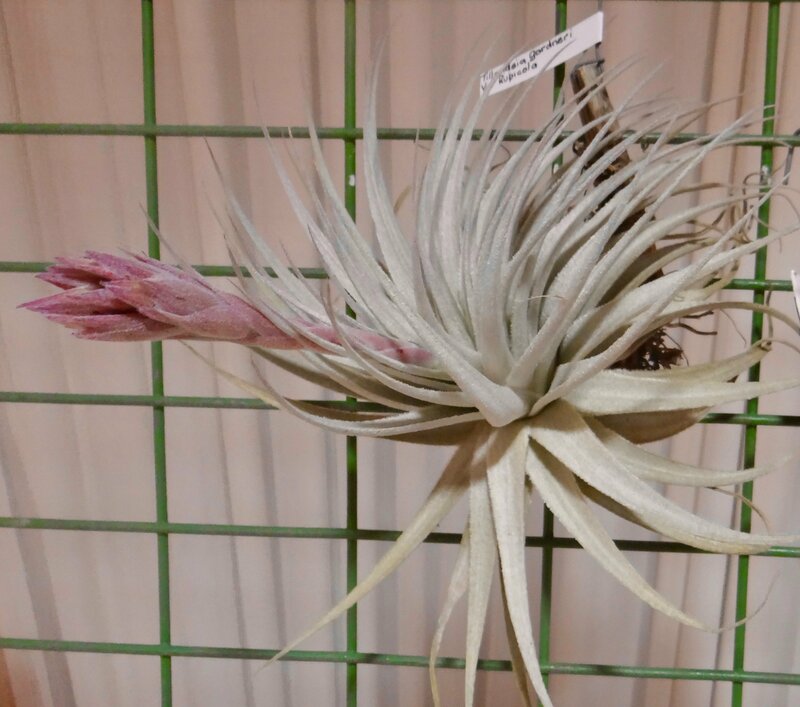 Tillandsia ionantha 'Honduras' from Greg Aizelwood. Tillandsia gardneri var rupicola from Greg Aizelwood. Aechmea biflora from Sharon Born. Judges Training Day on Sunday 30th July. 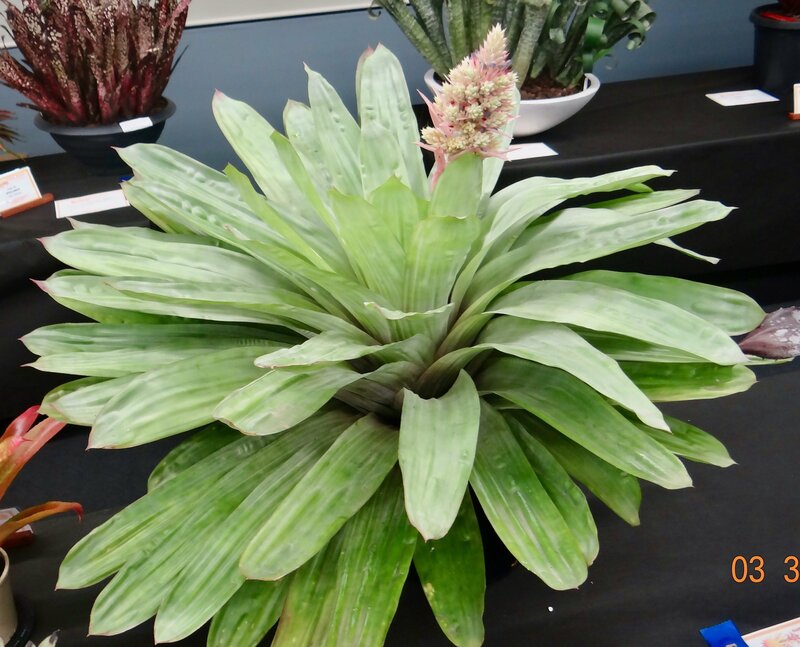 Ten judges met to polish up our skills in judging bromeliads. 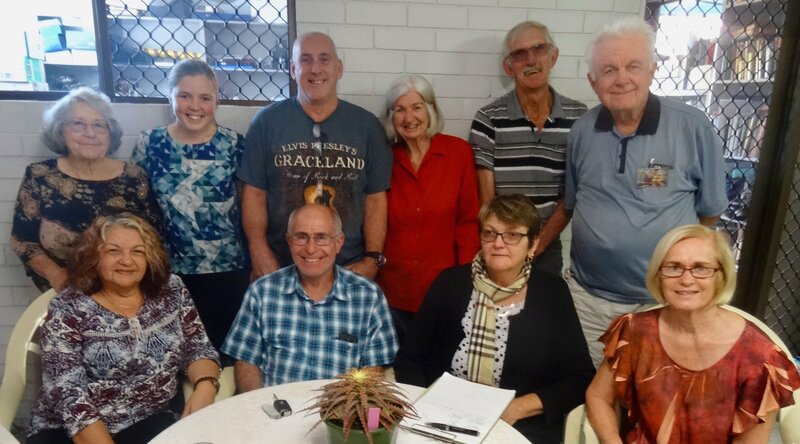 Present were Olive and Becky Trevor, Barbara Murray,Pam Butler, Peter Ball, Len Waite, Narelle Aizlewood, Richard and Diane Cornale (flew down from Caliope) and Maxim Wilson. the BSQ logo, and members name. Plant of the Month - rare genera with Glenn Bernoth. Popular Vote Commentary by Peter Ball. Practical Class: Pam Butler on Dividing Tillandsias. 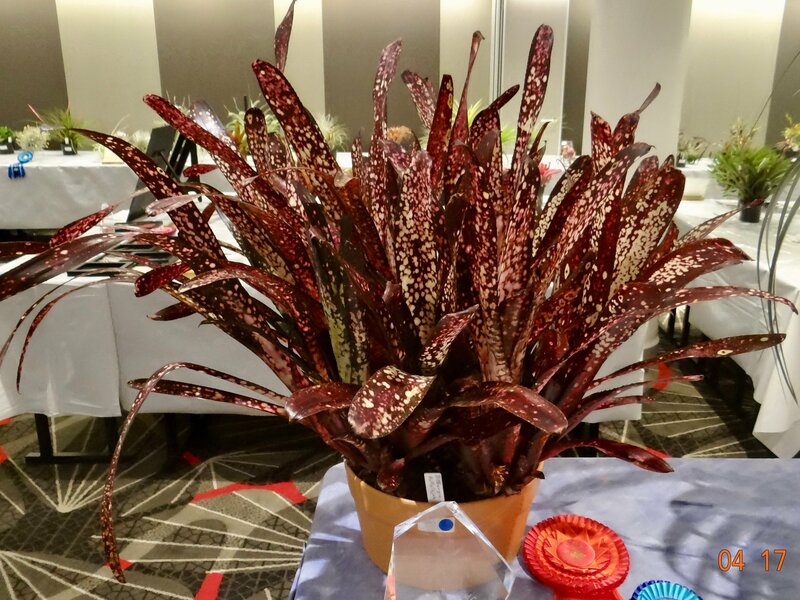 Plant of Month - Billbergia with Len Waite. Guest Speaker -Eric Gouda via Skype.